Introduction: Solr is an open-source search environment preferably suited for enterprise search applications. A modern eCommerce search architecture can overcome search functionality flaws and better serve users to make impacts on revenue. 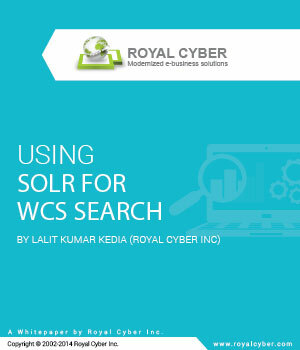 Description: This paper provides some ways to think about your enterprise search requirements and explains why Solr-based approach can be ideal, and describes how it can help you to design, develop, and deploy the search solution.